Normally I do not make casseroles. I just have never been a big fan of them. But, this is one casserole that I make an exception for. 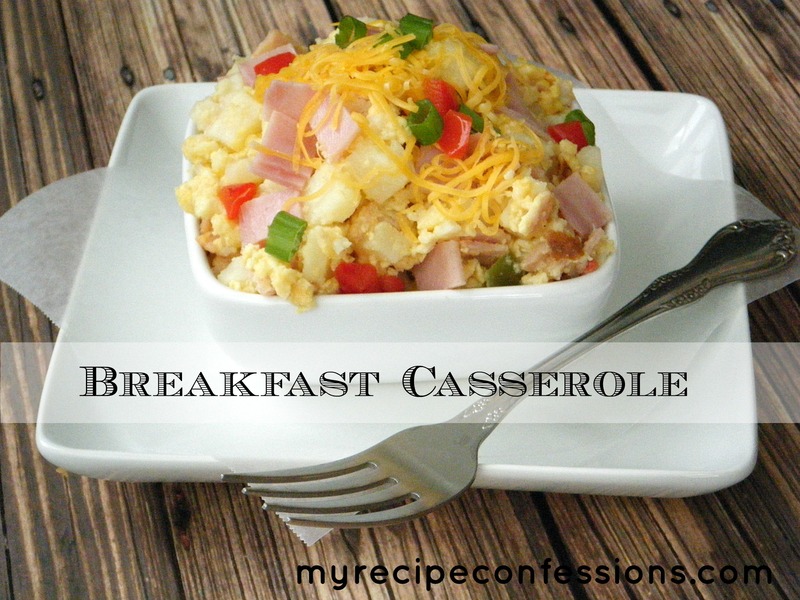 I make this casserole every year for Christmas breakfast. I prepare it the night before and put it in the fridge. Before we open presents, I put the casserole in the oven. By the time we are done opening presents, badda bing, breakfast is done! This casserole covers your main breakfast categories. It has the eggs, hash-browns, ham, and of course “cheese”. You can swap out the ham with bacon or sausage to better suit your family’s taste. I like to use the O’Brien hash browns because it already has the onions and peppers in it and thus saves me a step. But, if your family is not a fan of onions and peppers, just use the regular hash browns. The best thing about this casserole is that ALL, yes I said ALL my kids will eat it. My family likes to eat this casserole for dinner. Once you pull it out of the oven, just throw a little ketchup or fresh salsa on this baby and you will be in breakfast heaven! 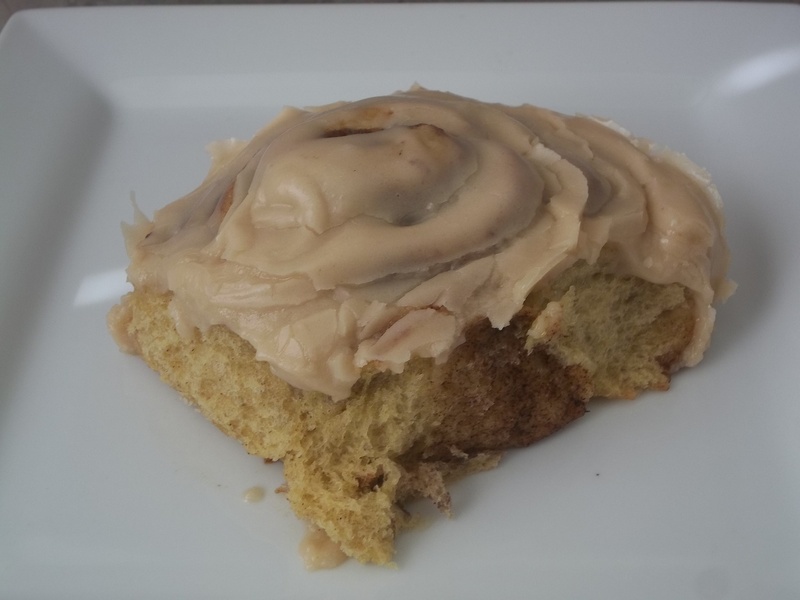 To bump this meal up another notch, try my Pumpkin Cinnamon Rolls with Caramel Frosting recipe. You will not be disappointed! Well my casserole is done and my house smells amazing! So I am going to sign out for now. Until next time my friends. Okay, my fellow culinary peeps. It is time to confess all my deep dark cinnamon roll secrets. 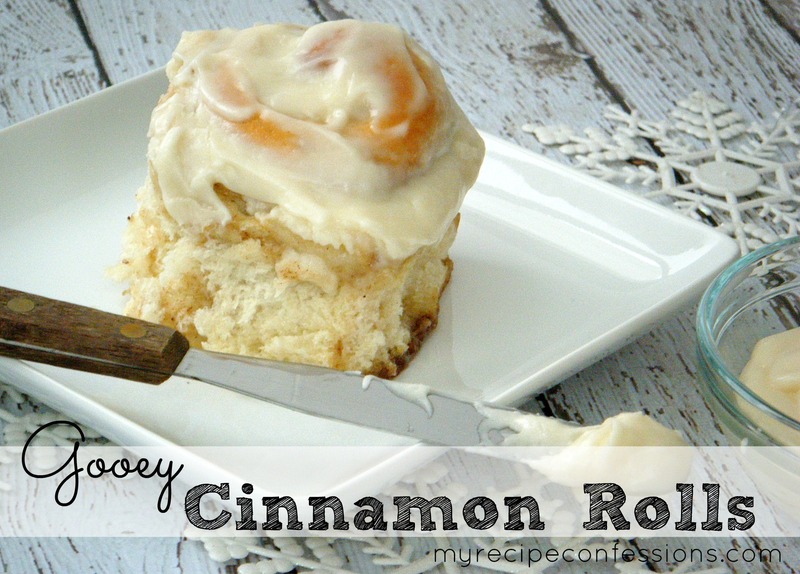 I hope that you will find these useful in all your future cinnamon roll endeavers. I always use a baking pan with a rim on it. I don’t like to bake them on a cooking sheet. I don’t think they end up as soft and gooey if you use a cooking sheet. I personally think the best cinnamon with the best flavor is the cinnamon Costco sells. It is the Kirkland Signature brand. It is called Ground Saigon Cinnamon. It has a more pronounce flavor and smell than any other one I have used. If you don’t believe me….I dare you to test it out. I like to line the baking sheet with 2 to 3 sheets of tin foil. And then I spray the foil with baking spray. It makes for an easier clean up and for some reason when there is less clean up in the end the food always seems to taste better. Don’t you agree? To make sure that my rolls are as close in size as humanly possible. After I have rolled up the roll I cut it in half. Then I cut each half in half again. If I am doing my math right that will give you four sections. I then cut each section into three making a total of 12 cinnamon rolls. I have found this works best for me. Otherwise I end up with a bunch of assorted sized rolls and that just bugs me. I space my cinnamon rolls fairly close to each other in the pan. Again I like my rolls to be soft and gooey. I always space then about 1/2 inch to 1 inch apart. Then when they rise they should all be touching. Don’t freak out, it is much better this way! After I take the cinnamon rolls out of the oven I immediately frost them with the first stage of frosting. Yes, there is two stages to the frosting. Before you write me off as crazy, hear me out. When you frost them right out of the oven it will melt down through all the layers. Once they have cooled down I will add a little bit more to make sure those babies are properly covered. Don’t stress, you don’t have to add a ton the first go round. Just enough to ensure it can soak down through all the layers. I personally feel that you can’t taste all the amazing bursts of flavor when the rolls are still hot. I know everybody loves a warm cinnamon roll. Trust me I do too! But just promise me that if you eat a warm cinnamon roll you will save one for later to enjoy after it has cooled down completely and all the flavors have marinated together to make the most amazing cinnamon roll your mouth has ever consumed! I hope my secrets will help you rise to your highest cinnamon roll potential. Until next time. Hello, thanks for stopping by! I hope you enjoy this blog as much as I have enjoyed creating it. Since I am practically inviting you into my kitchen, I thought it would be good if we got to know each other first. So please sit down and make yourself at home while I tell you a little about my culinary journey. When I was little, I loved to watch people cook. My favorite TV show was The Frugal Gourmet on PBS. I could often be found sitting on a stool watching my mom cook and daydreaming about day that I too would be able to cook. I started practicing my culinary skills in the backyard making mud pies. That didn’t last long of course because I could never convince anybody to eat them. A few years later I entered my “experimental” stage in life. My BFF/ cousin Jack ( his name has been changed to protect the innocent) convinced me that his golden lab was in possession of some pretty tasty treats. Yes, ladies and gentlemen, you heard it right. We started snacking on the dog food. I was not a full on addict, however, I would snack on it in between meals. Then one bright and sunny day while we were soaking up the sun and enjoying each others company, the following happened. Jack reached his hand into the bag of dog food and it tipped over. The dog food started rolling down the steep driveway. Now, this driveway was not your average Joe driveway. Jack’s house sat up on a very large hill making the driveway pretty steep! At this point and time in my life I really was trying to cut back on the dog food, but that all quickly went out the window. Jack started grabbing handfuls of the nasty dog food and shoving them in his mouth. He then turned to me and ordered me to do the same before his Mom came home (his mom was not very happy about us consuming the dog food). So being the good friend that I was, I joined in. Of course looking back now, I can see the best option would have been to simply put the dog food back in the bag. But hey, we were in shock and were not thinking clearly. We can’t be blamed for our actions. After all evidence of any mischievous behavior had been consumed. I vowed to myself to only eat food that has been FDA approved for human consumption and I have never looked back. I went on to conduct many experiments in the kitchen. One experiment included a little flour, water, a sauté pan, and a dream to invent the tastiest dish my family ever ate. However, you can imagine that warmed up paste isn’t very appetizing. The day I had always dreamed of finally arrived when I was nine years old. My dad agreed to let me make Kraft Mac and Cheese. He patiently read through the instructions and then stood by my side as I cooked. I knew the moment that the water started boiling that I was hooked! This food loving culinary crazy girl continued over the years trying new recipes, creating recipes, and happily feeding anybody that would willing open their mouth. In 2008 I was able to attend a Culinary Arts program at the MATC. It was there that I discovered that there was so much more to the culinary world than I had ever imagined. I learned a lot of new skills and fell even deeper in love with cooking (if that was even possible). I graduated from the program two years later. If you haven’t figured it out yet, I love to cook. I am so excited to share with all of you my passion. I hope you enjoy all my tips, tricks, and recipes. Now it is your turn to share. I want to get to know you too! Please feel free to tell me about yourself! I want to know what you like to cook? What is your favorite food? Where do you like to eat? What recipes you would like to see on my blog? Many years ago I started feeling like there was something missing in my life. You see it was Fall and like most of you when this time of year comes around I start craving Fallish foods. I’m sure you know what I am talking about. Fallish foods are anything with apples, pumpkins, caramel, cinnamon etc. Basically anything that has the potential to add inches to your waistline.